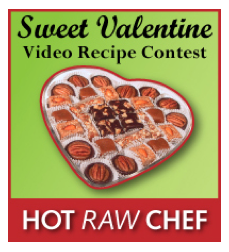 The Living Light Culinary Arts Institute, where I went to pursue my credentials in the Science of Raw Food Nutrition, is having a Sweet Valentine’s Recipe Contest. Since I am a sucker for Valentine’s Day and I despise the commercial sweets that are pushed for this holiday, I entered my Orange Cream Cacao Bark recipe in the contest. You can see my recipe video and all the other entries at HotRawChef.com. 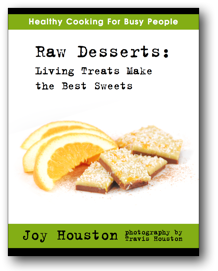 The recipes you will find in the competition are from the new generation of raw chefs that are reaching the raw food movement out to all corners of the globe. 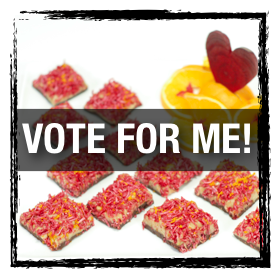 Support them and, if you like my colorful recipe, vote for me, Joy Houston as your People’s Choice favorite. Voting runs from January 28th to February 9th, 2011! anyone who clicks the LIKE button at the top of this post. To let me know you did ANY of these things, post your action in the comments box below. That will give me your email address so I can send you the book. Thank you again. The vote is in – I hope you win. Love your recipes!!! Nutritious food helps feed my soul. Cacao!!! Wondrous colors and taste. You’ve got my vote! Voted for you! Looks so good. YUM! You’ve got my vote any day but especially today! Just voted for you Joy! You are so amazing. Cant wait to take one of your classes! Looks delicious! I voted for you 🙂 good luck! The contest only allows one vote per IP address, which means if one person at your IP voted, it won’t accept another vote. THANK YOU so much for voting! I LOVE your cooking. Everything tastes sooooo good! I hope you win! The recipe looks yummy! It has been so helpful to have recipes that satisfy my children’s sweet tooth, yet are nutritious. No guilt! I voted of course, and really hope you win!! Liked you on Facebook. 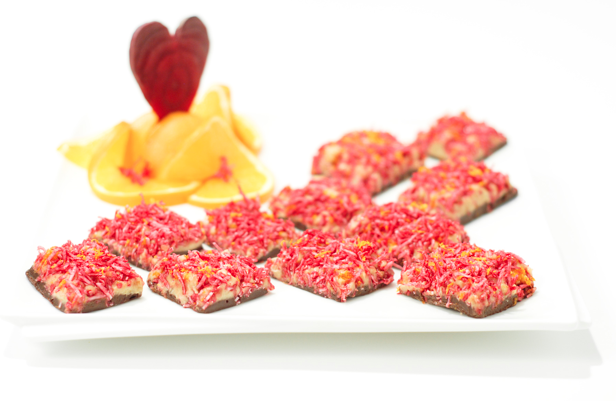 Would love to try the orange cream cacao bark recipe. Will watch the video and see if I can get it there. Thank you Lynda. That was a recipe from last year’s competition (or maybe the year before- time flies!). If you have any trouble getting that recipe from the video let me know. I’m happy yo email you a version.